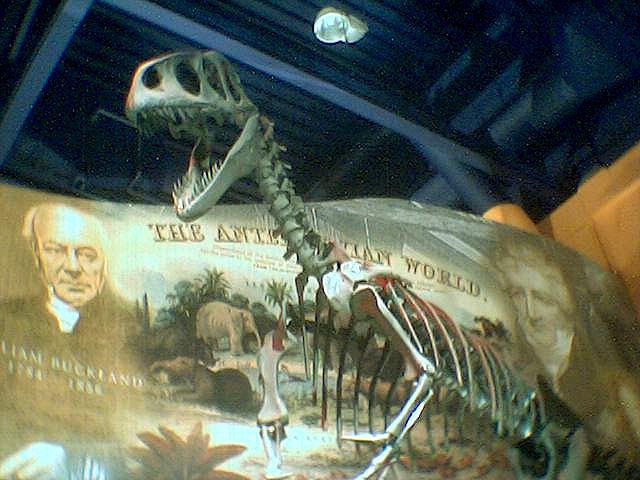 Dinosaur Isle is an impressive, £2.7 million lottery-funded exhibition set up in Sandown on the Isle of Wight. 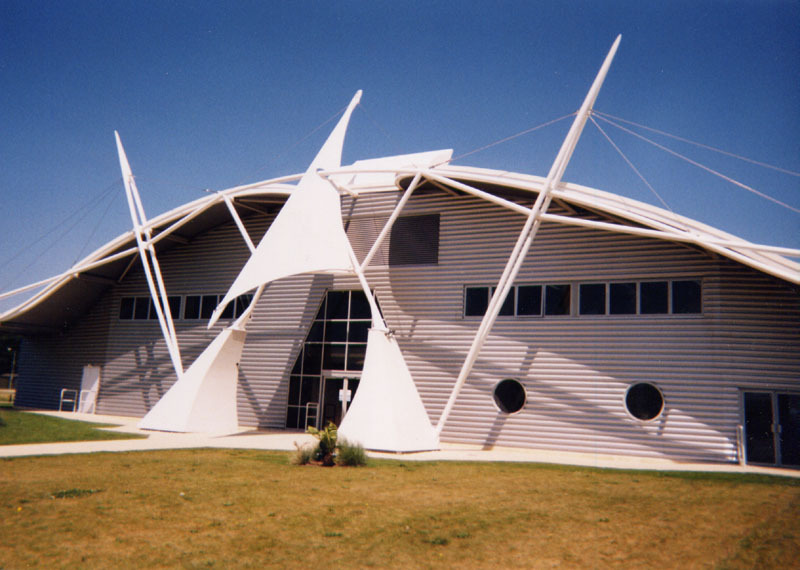 The impressive building itself is designed in the shape of a pterosaur and you cant miss it if you're on a holiday walk along the sea front at Sandown! 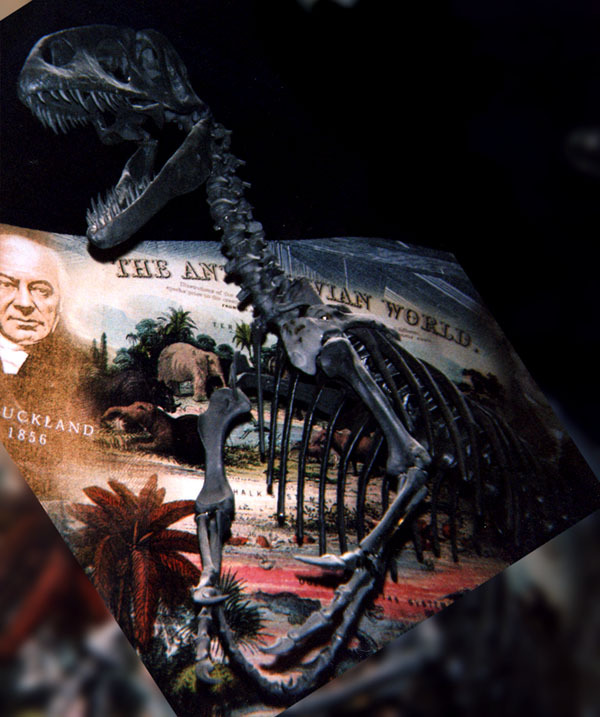 The Dinosaur centre contains a stunning array of skeletal and flesh reconstructions as well as a wealth of supplementary information and artefacts. 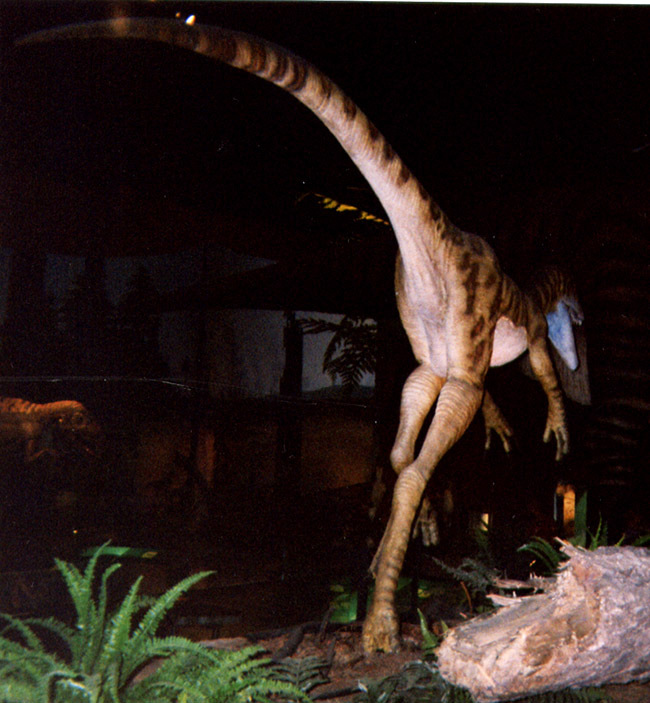 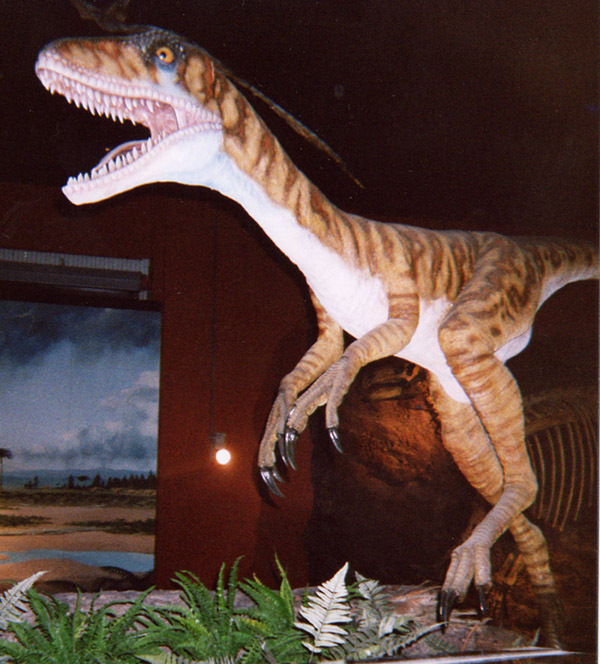 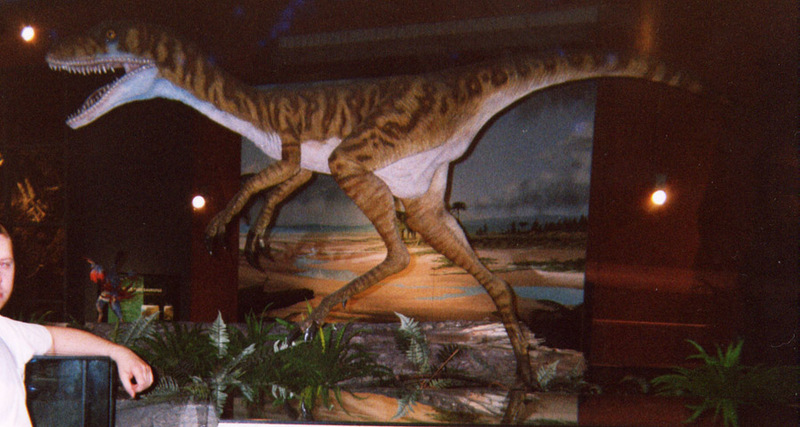 It is fitting that Megalosaurus is the first dinosaur that greets you as you enter the main hall of dinosaur isle. 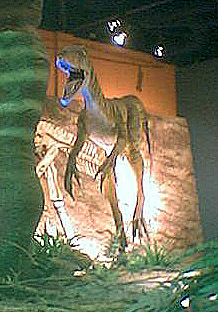 It is a great animal in a beautiful pose. 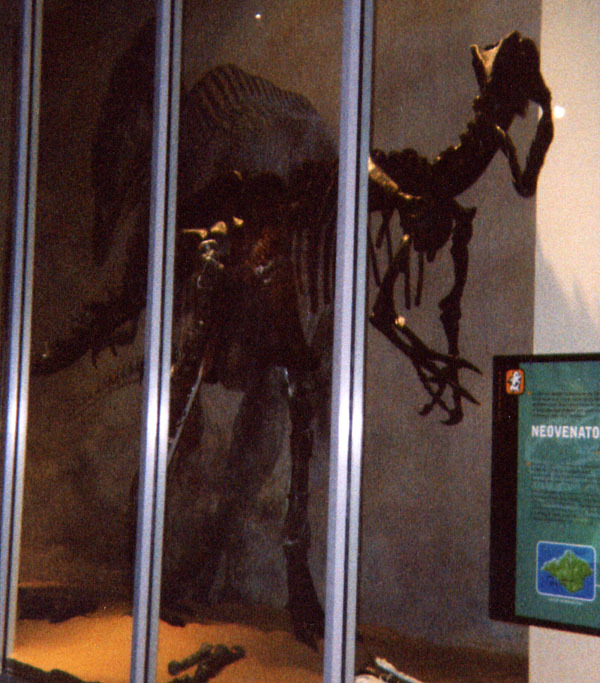 Neovenator is a previously unknown theropod species. 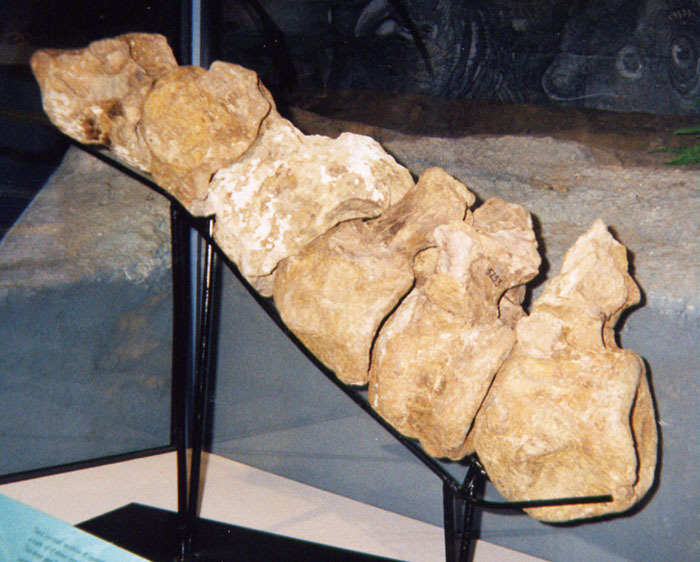 6-8m in length, about 750kg. 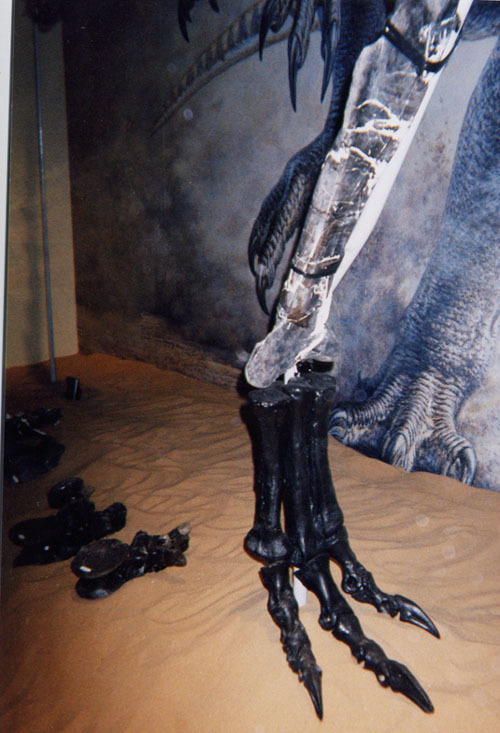 2.2m high at the hip, with 5cm long teeth and 13cm long claws. 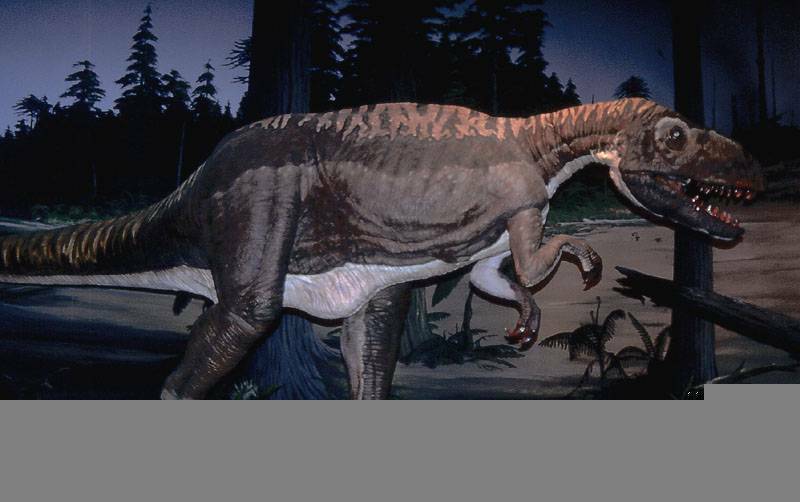 It was the major carnivore in the Early Cretaceous (132-100 million years ago). 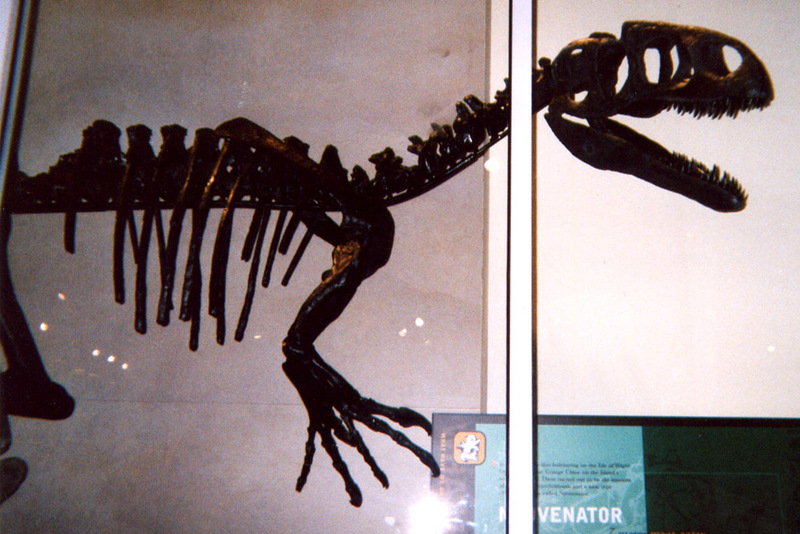 Eotyrannus is a primitive tyrannosauroid. 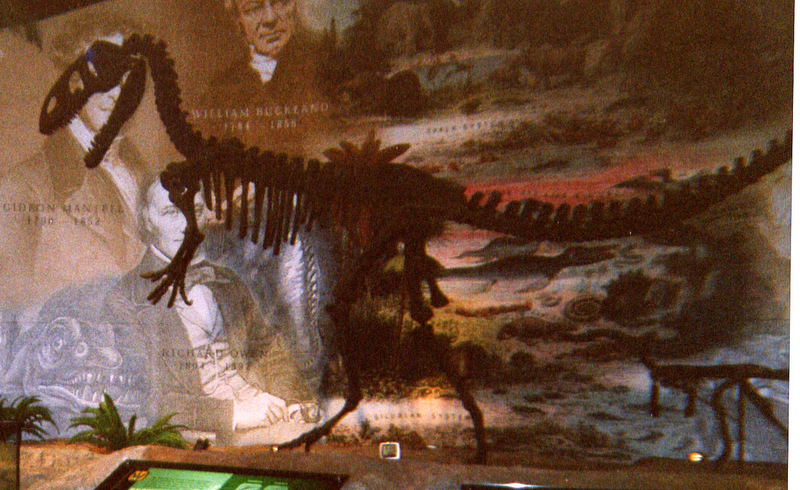 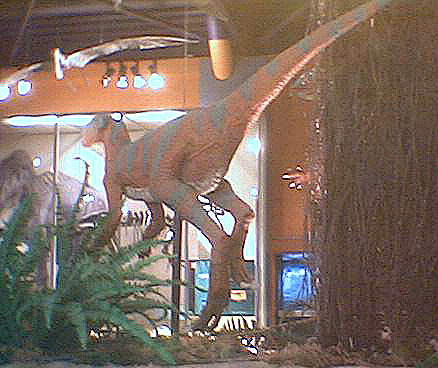 This model forms part of the central display, facing a full-sized Iguanadon. 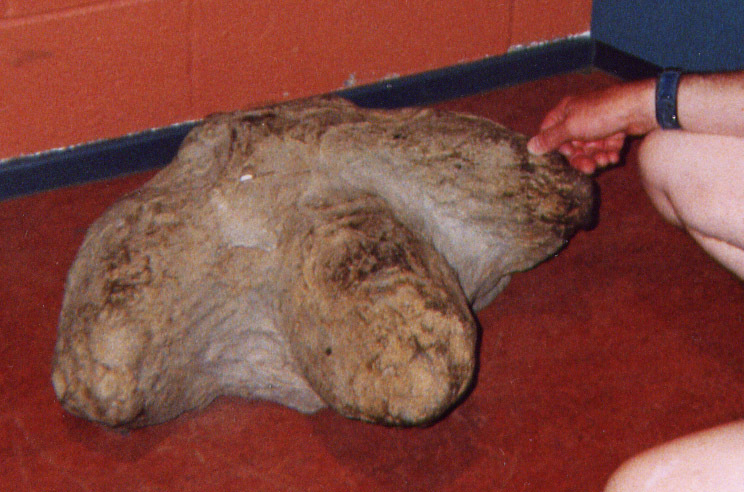 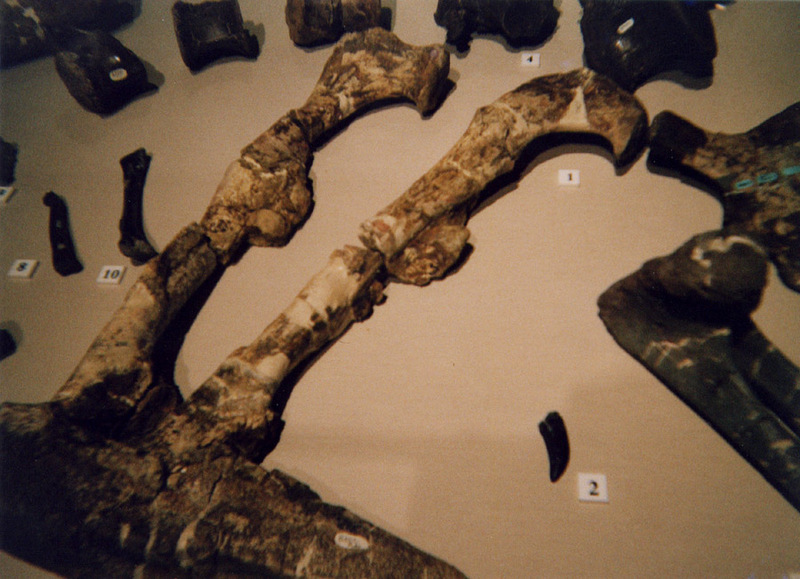 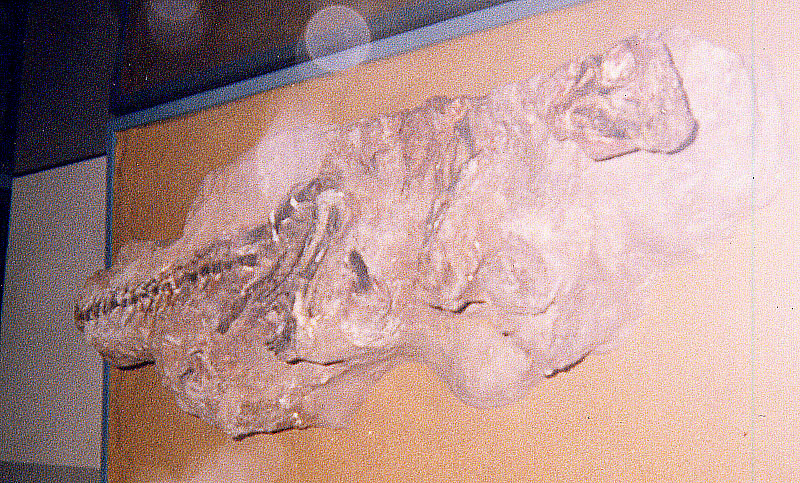 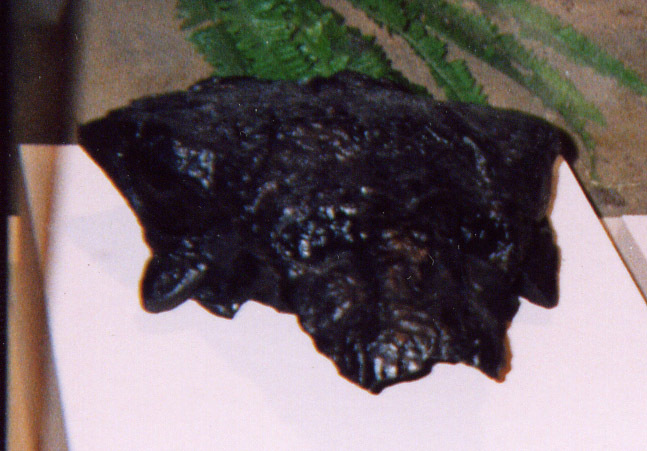 Iguanadon neck vertebrae, a full wall-mounted Iguanadon skeleton and the natural cast of a footprint. 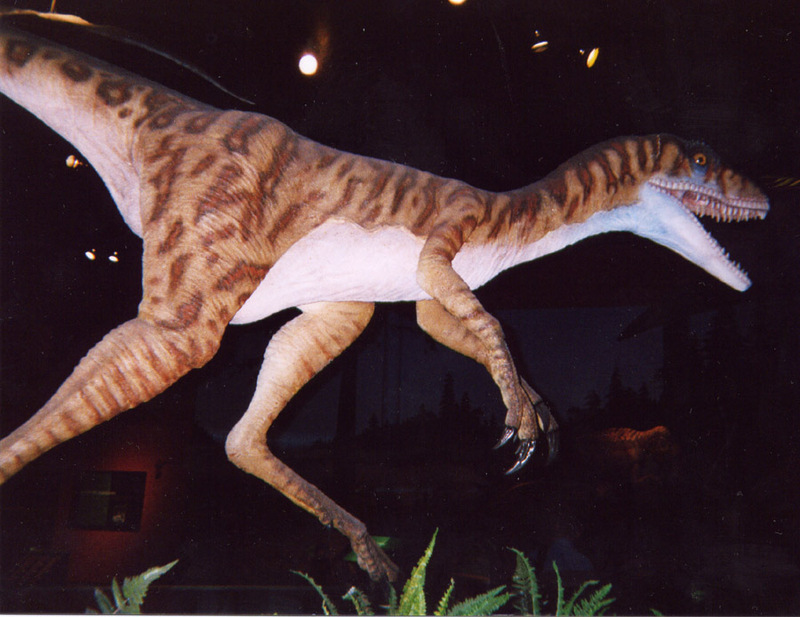 Hypsilophodon still in matrix and model. 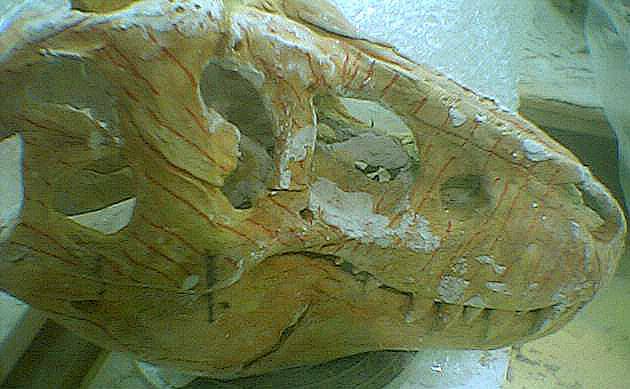 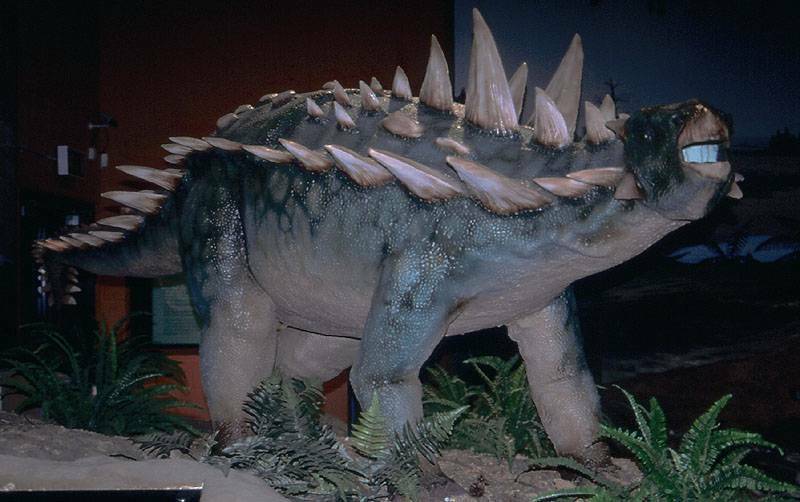 Polacanthus reconstruction, spikes and parts of its armour, and skull of similar dinosaur. 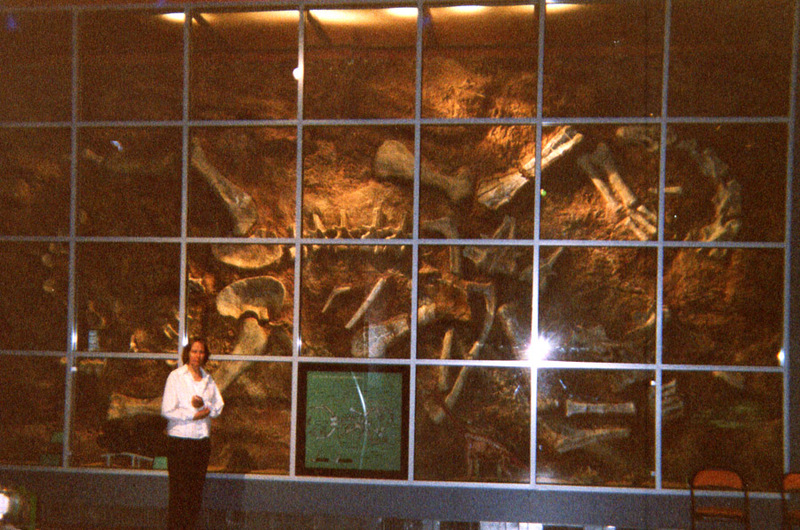 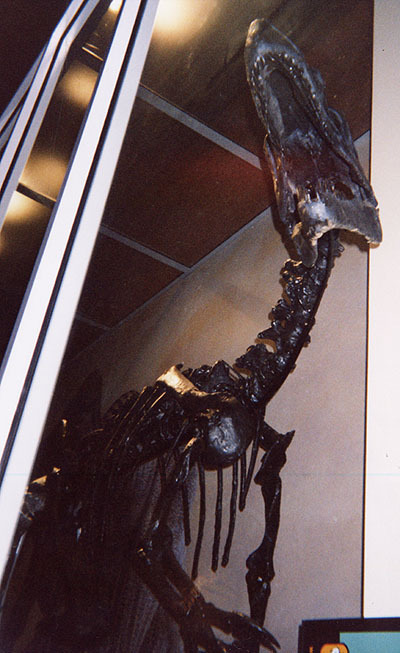 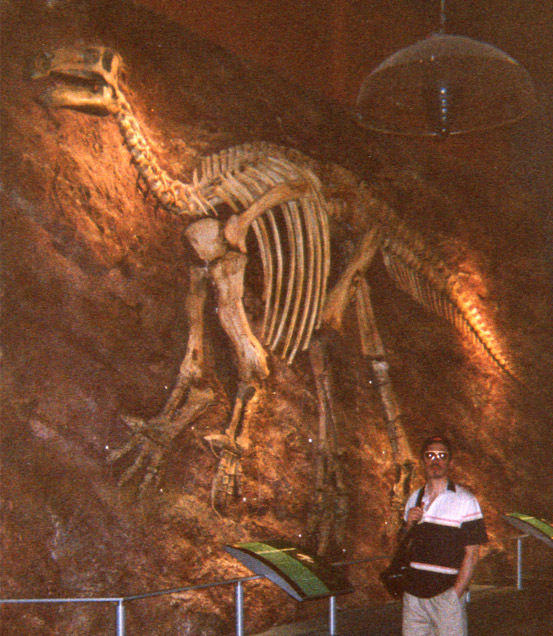 Wall-mounted sauropod as discovered and miniature T rex skull. 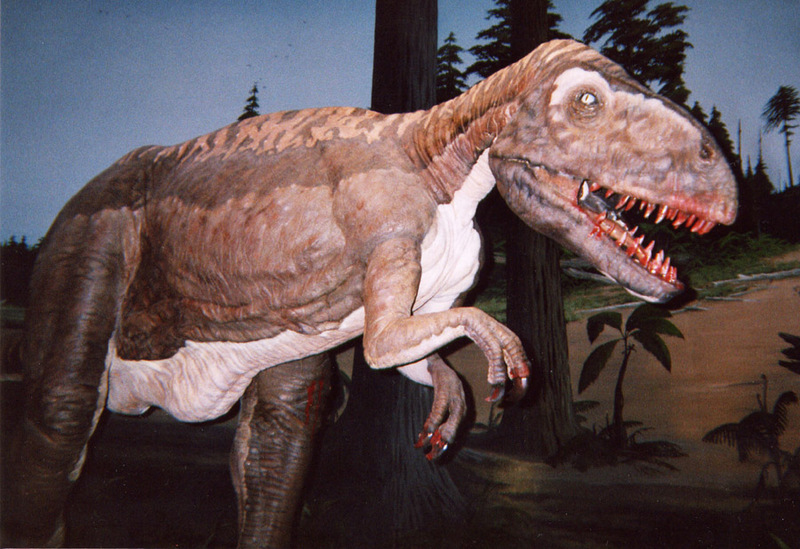 This attraction is a great feature of any holiday to the Isle of Wight and is highly reccommended. 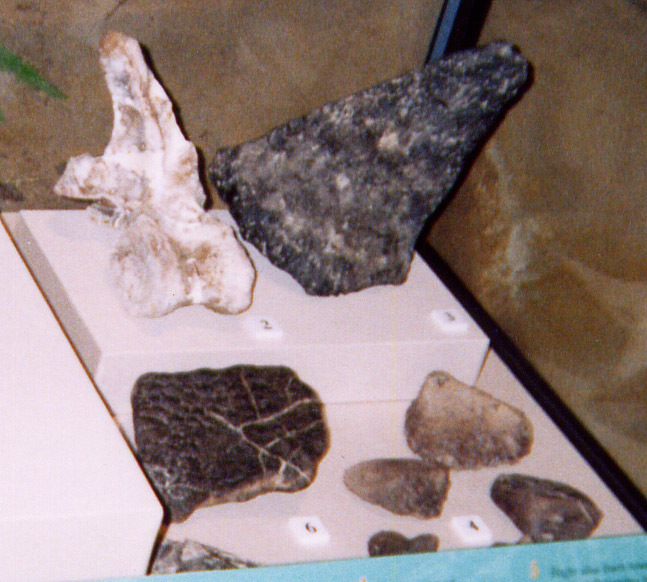 For otherholiday destinations on the Isle of Wight, there are various Fossil Shops and tourist attractions around. 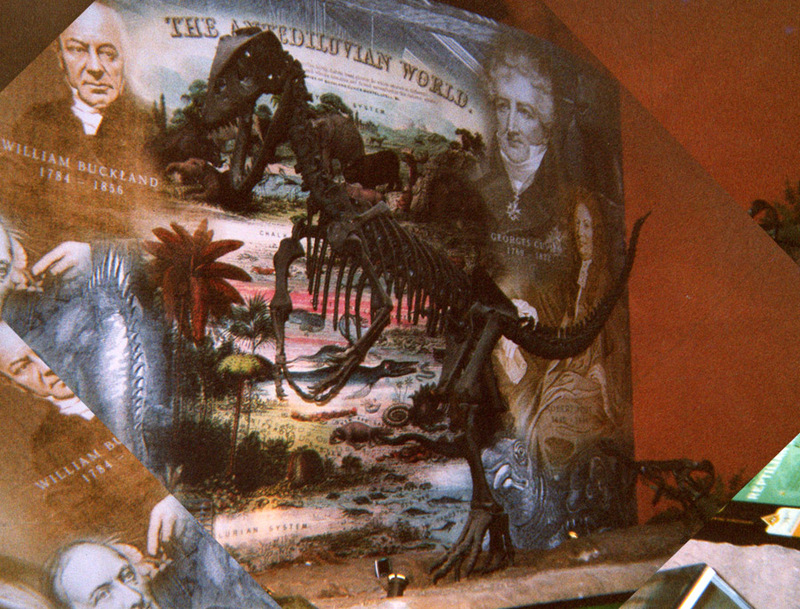 The hotel we stayed at was in Sandown and the island is certainly not short of accommodation.